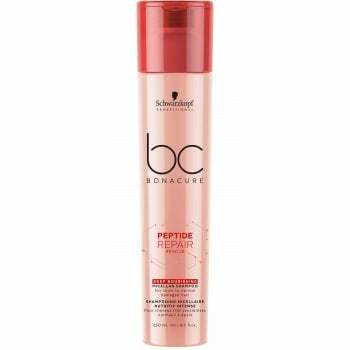 An intensively caring micellar shampoo for normal to thick damaged hair that guarantees a long-lasting extra conditioning effect. Hair is extremely damaged, unmanageable and over-processed from repeated chemical treatments leaving it feeling rough and prone to breakage. Restores the protective layer of the hair surface.